—Nido Qubein, President, High Point University; and Chairman, Great Harvest Bread Co.
"Give this book to anyone aspiring to be an effective leader and you've put them ahead of the curve. 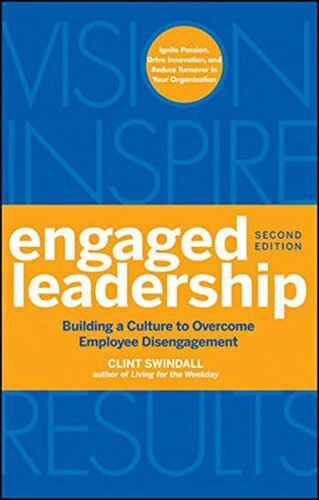 Clint Swindall has done a masterful job of bringing leadership to life in a book that's engaging and effective. Create a leadership culture in your company by getting this book now!" "This book is so engaging, you'll forget you're learning. If you only have time for one book this year, make it Engaged Leadership—you won't be disappointed."